Optimizing The Holidays: A different kind of ‘To do’ List – Nourish your soul. Flourish your life. 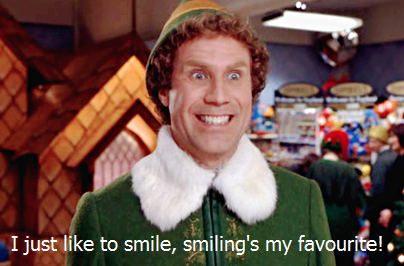 I am awed by people who tell me how much they look forward to the Holidays while smiling widely like Buddy the Elf. If you fall under this category, feel free to skip this blog post. For the rest of us, we can tend to become stressed, lose our cool, overeat, worry about money and get caught up in the whirlwind of parties and festivities. Exhale. Join the masses and keep reading. With Christmas a few days away, all we have to do to get into frenzy is recall the “To Do” list. You may find yourself reluctant to battle the malls and follow people with shopping bags vying for their parking spot. You’re not alone. The more we sense the mad rush out there, the more we may be tempted to stay in, serenely cocooned in the comfort of home. It almost feels like Christmas has turned into another thing to do. I could offer advice about online shopping, setting limits and practicing stress-reduction techniques but I won’t be a hypocrite. While they may sound like good ideas, putting them into practice is not nearly as easy. Sometimes the closest you’ll get to a stress-reduction technique may be going to bed early or enjoying a glass of wine. Instead of welcoming the Holidays, many of us find ourselves somewhat nostalgic, missing what was, managing schedules, budgets and lost sleep. Try to maintain realistic expectations. I’m not suggesting rallying and shouting Bah! Humbug! but do cut yourself some slack if you’re feeling less than jolly. Letting go of the guilt will help you ride this thing out. It’s important to acknowledge the endless demands and responsibilities our lives can hold. Energy levels and priorities continually change, so too will our definition of what the Holidays mean. It is quite easy to feel a lack of clarity in this regard, especially if coupled with the dreaded December Blues. Here’s the tricky part, only you can take ownership of your experience. It may be time to ask yourself, “What’s my vision for the year’s end? What would make this time feel more supportive and loving?” As I wrapped my thoughts around this, sitting and sipping tea, it occurred to me that the scent of cinnamon drifting from my cup felt soothing as did taking time to map out what’s important. Being more compassionate and kind are definite biggies for me in nurturing a Christmassy feeling, and given the countless paying-it-forward acts in the city, I am clearly not the only one who thinks so. Feeling appreciative and generous are also up there. The more I thought about this, the more my heart began to echo a different kind of “To do” list. Define what the Holidays mean to you. Think of all the things you love about this time of year and begin to notice them more. When you think of past Holidays, what do you remember the most? Welcome more of that. Finds ways to create that feeling again. It might be taking in the insulated beauty of fresh snow, taking comfort in the glow of candles, hanging a fresh cedar wreath, looking at old family albums or simply playing music that makes you want to sing. Take a moment to appreciate things this Season gifts us with. Try your best to find some enjoyment along the way because in the end, it is our thoughts and perceptions that create our experiences. When we practice awareness and gratitude, every day begins to unfold its own magic. Think of what you want to share with loved ones. Often, what people appreciate about you has no monetary value. What are you good at? Your kindness, your help, your creativity may be the very thing someone is in need of. Take notice of others and see if they could use some company, a sincere compliment or maybe a heartfelt hug. Showing generosity can feel quite different from gifting and is a beautiful way to make a difference for both the giver and the receiver. Do not underestimate the gift of your time. Reconnecting with a friend, sending a thoughtful note, shoveling someone’s walkway or volunteering is well worth the effort because it feeds our soul too. For me, baking is relaxing as well as a great way to spend time with my girls, so this year I’ve decided to share some of the goodies. Be kind to yourself. This last one is really important and all about honouring you. Remember that being happy and stress-free requires holding yourself accountable for your well-being. Choose to treat yourself with compassion every single day. The rule being, when we take care of our own needs, we have more to offer others. Make this a non-negotiable. I cannot tell you how to do this. You are unique. It’s important to have a plan that is tailored to you. Decide what you can do and don’t wait until you are overwhelmed to start practicing self-care. You may want to let go of expectations -this may not be the best time to pressure yourself to lose five pounds or want your partner to pick up mind reading. Fitting in some exercise may be as simple as going for a walk or not staying seated for more than an hour at a time. Listen to your body. A nap may not always be on the horizon but a 3 minute body scan might be just the thing. Let go of anything that doesn’t feel like loving kindness toward you. It’s time to free that big beautiful heart of unnecessary weigh-downs. This includes quieting the negative self-chatter and being less critical. And last but not least, keep in mind that the Holidays are best celebrated when infused with love and joy. Start to celebrate all the wonderful things you have in place right now, and always, always give thanks. 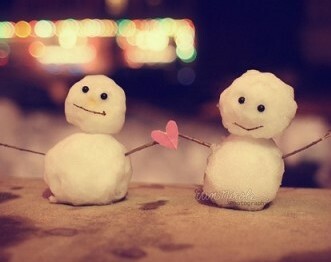 Wishing you much love for the Holiday Season! Such wonderful words and a great reminder to us all. Thank you for sharing your wisdom! Thanks for your support Erica!